Yes, Fortnite is still killing it. You’re missing out on one of the greatest games to ever grace iOS if you’re not playing Fortnite. It’s that good. And now you can dive in knowing all you need to know about getting started with battle royale. Our beginner’s guide will teach you how to win games without Fortnite experience. You’ll learn which weapons are best for new starters, where to land if you want to stay alive longer, how to loot effectively, and more. Get stuck in and start racking up those wins! There are three standard game modes in Fortnite Battle Royale: solo, duo, and squad. Picking the right one when you’re getting started is important. Teaming up with another player or joining a squad could give you a greater chance of winning — particularly if your comrades are more experienced. But bear in mind that Fortnite on mobile doesn’t support party chat yet, which can make things difficult. You also need to remember that when you play as a duo or in a squad, you’re more likely to come up against duos and squads. That’s fine if there’s an even number of players, but if your partner or your team gets wiped out before you, you’ll be facing those other duos and squads on your own. You might find it’s easier to just play solo initially. This allows you to get used to the game at your own pace. It also means it’s unlikely you’ll bump into more than one opponent when you’re on the battlefield — particularly when it’s early in the match. After you’ve chosen your game mode, you’ll be put into a lobby until there are enough players to start the match. In here, you can roam around and get used to the controls, and try out the weapons that can be found littered around the island. Pickup whatever you can find and use it. You can’t kill anyone yet, but you can shoot at other players for target practice. Get a feel for the guns available and how effective they are at different distances. Fire at players who are moving around to improve your aim. You’ll also find some materials lying around, which you can use to practice building. You don’t get a lot of time before each match starts, but there’s usually enough to find a gun and try it out. As soon as the Battle Bus has departed, take a look at the map to see its flight path. Pick a place to land and wait until you’re as close as possible before diving out. If you’re new to Fortnite, land in quiet areas far away from Tilted Towers, which is always teaming with people. The longer you remain on the Battle Bus, and the further you are from the center of the map when you land, the fewer people there will be in your vicinity. Aim for buildings where you’re more likely to find a lot of loot, but avoid heavily built-up areas if you can. After jumping out of the Battle Bus, you’ll want to reach the ground as quickly as possible, but be careful. It’s safe to dive straight down if your chosen location is close by, but if you need to travel, ensure you have enough height so that you don’t hit the ground too early. Start hunting for loot as soon as your feet touch the ground. Weapons should be your priority, then shields and building resources. You’ll need to be prepared to bump into another player at any time. Listen out for chests, which typically carry the best loot, and pick up ammo whenever you see it. You can carry up to 1,000 rounds for each weapon, so don’t worry about having too much. Once you’ve gathered the weapons you want, you can move on. Head to another area of the map where you might find more loot if you haven’t been able to collect everything you need, but keep an eye on the map and be mindful of the storm. If you’re not in the safe zone, work your way toward it. Once you have some weapons and you’ve started moving, pick up more building resources along the way. You can use your pick axe to destroy trees, vehicles, buildings, and more — and each will give you materials to build a base and cover. You’ll need to do this later. Above everything else, you’ll need an assault rifle. They’re easy to use, and they’re handy in almost every situation. 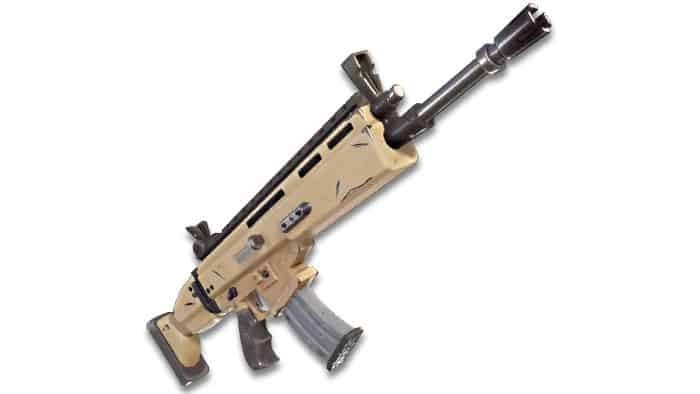 The Scar is the best rifle in the game, but it’s harder to find than the others. There’s also a three-burst rifle, an automatic M16 that’s slightly easier to use, and a scoped rifle with a slower fire rate. If you’re a beginner, I recommend sticking with the M16 or the Scar if you can find one. They’re much more forgiving if you have poor aim because you can correct your position while shooting and there’s no delay between bursts. If you have an enemy shooting back, that burst delay can cost you your life. The scoped rifle is difficult to use when you’re fighting an enemy up-close, but it’s great at picking people off from a distance. Bear in mind that it doesn’t deal as much damage as a sniper rifle, so it’s best to use it in a situation where you have time to land a few shots before the enemy starts firing back. You’ll also need a shotgun, which will come in handy in close engagements. The pump shotgun deals the most damage, but there’s a delay between shots, so you need to be accurate. The tactical shotgun isn’t quite as powerful, but it has a significantly faster fire rate that allows you to keep shooting. If you have space in your arsenal, you might choose to carry them both. 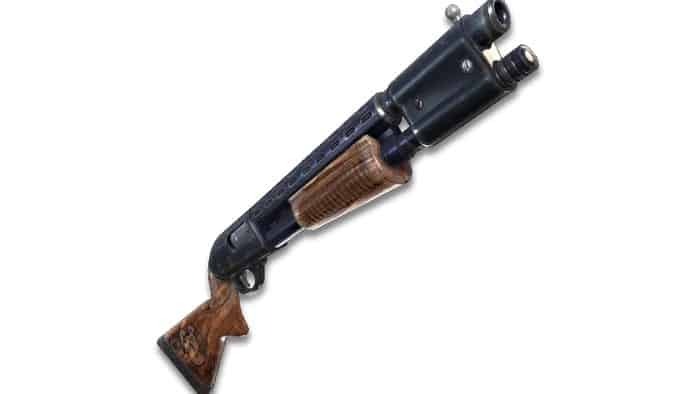 You can use the pump shotgun first to deal maximum damage, then finish them off with the tactical shotgun. If you can only carry one and your aim needs work, pick the tactical shotgun so you can keep firing. Obviously you shouldn’t attempt to use the shotgun at long range. You won’t hit your target, and the loud blast will give away your position. The submachine guns are also effective at close range. 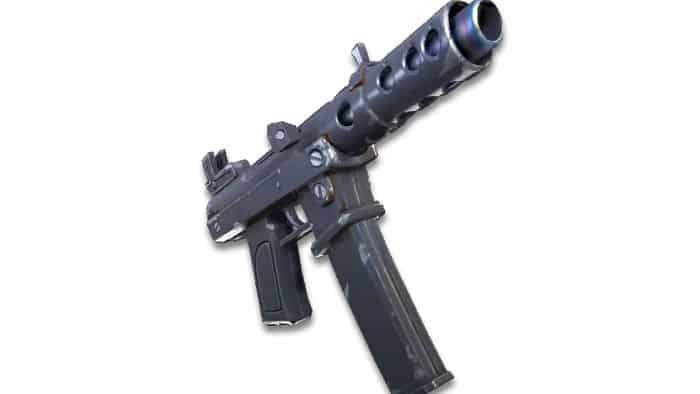 The tactical SMG is regarded the best option by most players, so use that one if you can find it. There’s also a silenced SMG that’s ideal for taking out unsuspecting enemies in busy areas where you don’t want to give away your position. An SMG is another good secondary to the pump shotgun, but again, you shouldn’t attempt to use it at long range. If it’s all you’ve managed to find, avoid the gun fight and get back to finding more loot. If you didn’t pick up a shotgun or an SMG, which are most effective at close range, then a pistol can be handy if you have relatively good aim and you can fire it quickly. 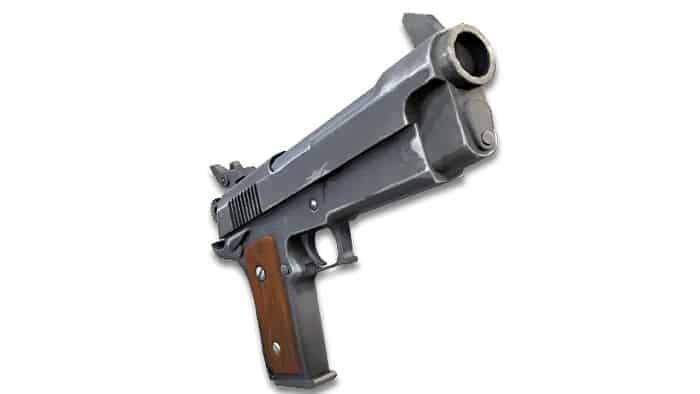 Both the standard and silenced pistols have incredibly high fire rates, so they’ll take down enemies quickly. The revolver deals at least twice as much damage, but there’s a lengthy delay between shots and it has a ton of recoil. You’ll need to be accurate and in a suitable position with plenty of protection or it’s not worth using. Other weapons will beat it in almost every situation. The hand cannon deals the most damage in this class, and it has a pretty good fire rate and great range. It also takes heavy ammo, so it’s practically a sniper that fits in your pocket. It doesn’t have a scope, however, so you’ll need an accurate shot. It’s also rare, so you’ll have a hard time finding one. The bolt action sniper rifle is by far the best weapon at long range because it deals the most damage. It can eliminate enemies with one shot in many cases. There is a significant delay between shots as you reload, however, so you’ll need to be accurate with it. The automatic sniper deals less damage, so you’ll likely need to land several shots to take down your opponent, but you can fire up to 10 rounds before you need to reload. This makes it easier to use for those who need to work on their aim. The hunting rifle also has a decent fire rate, and it deals more damage than the automatic sniper. 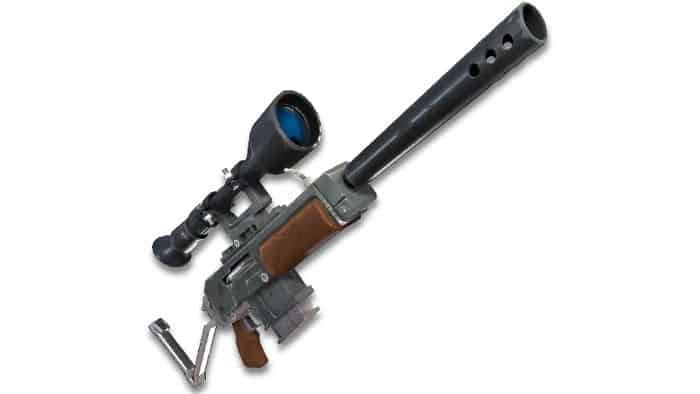 However, it doesn’t have a scope, so it’s better at medium range than picking people off in the distance. The rocket launcher is well worth adding to your arsenal if you can find one. It’s great for destroying bases and buildings, and even better at obilterating enemies at close range. But you’ll need to be careful with it; if the rocket lands close to you, you’ll die, too. It’s best to use the rocket launcher when you’re above an opponent and you can fire it into the ground beneath their feet. 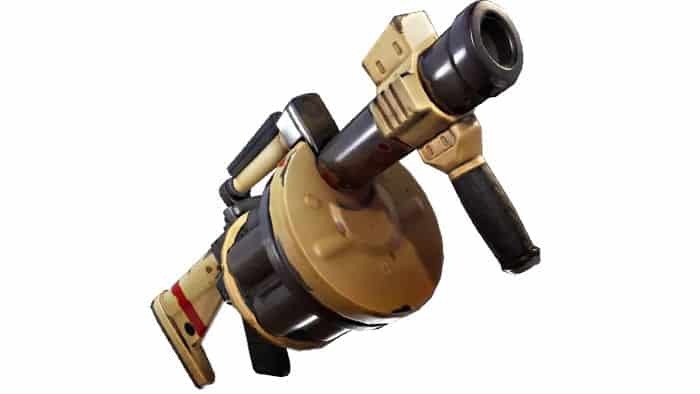 But it also has incredible range, so you can fire it at squads in the distance and the rocket will keep traveling until it hits something. Despite using the same ammo as the rocket launcher, the grenade launcher is a totally different beast. It doesn’t detonate on impact, so you can bounce its grenades off of things if you need to, and each round falls quickly as it travels. The grenade launcher is also most effective at taking down bases, or firing into bases from above or below. There are a number of handheld grenades to choose from, and each is totally different. The standard grenade works just as you’d expect; throw it at an enemy or into a base and it will explode after a short delay. It deals significant damage, so if you’re accurate and your opponent isn’t shielded, you’re going to get the kill. The boogie bomb forces players to dance. You can throw it at an opponent and pick them off as they dance around in front of you, unable to fight back. It doesn’t take too long to wear off, however, so you’ll need to be quick. And don’t get too close to it, or you’ll end up dancing, too. 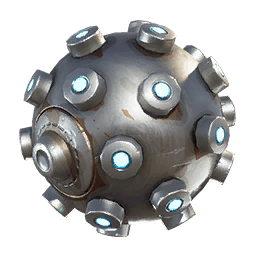 Like the boogie bomb, the impulse grenade doesn’t deal any damage, but it throw players into the air. You can throw it into a base where an opponent is hiding then get ready to shoot them as they’re blasted out, or you can throw it at an opponent in front of you making it harder for them to shoot back. Impuse grenades are great at throwing opponents off of hills and bridges, and if the fall is great enough, you’ll deal significant damage and maybe even eleminate them. You can also use them to throw enemies back into the storm where they’ll die if they don’t have much health. If you time it right, you can use the impulse grenade on yourself to catapult yourself into enemy bases when they least expect it, but it’s difficult to pull off properly. Epic recently added C4 remote explosives into the game. You can plant these wherever you need to and then detonate them manually when an enemy gets close. To increase your chances of getting a kill, plant them near some bait — like a bunch of loot or an unopened airdrop. There’s also a crossbow that’s fun to use. It makes hardly any noise, so it’s great for killing opponents without giving away your position, and it deals a surprising amount of damage. It’s difficult to use because of the arrow drop, however, so you’ll need decent aim. The mini gun is perhaps the most enjoyable weapon in the game. It uses the same ammo as SMGs and boasts a similarly high fire rate, but it combines it with insane distance. It’s not very accurate, however, so it’s most effective at destroying bases rather than enemies. Many of these weapons — not all of them — are available in different variants that are more powerful than the standard versions. There are four altogther, and the rarer they are, the more damage they dish out. It goes without saying that you should always try to keep your health and shield bars as full as possible. This is even more important when you first start playing Fortnite and you need to maximize your chances of winning each gun fight. Bandages are pretty easy to find and you can use them quickly, but they only increase your health by 15 points. You can’t use them once your health reaches 75 percent, either, but it’s handy having them in your inventory if you can’t find shield pots, and you can carry up to 15 in one slot. Medkits will restore your health to 100 percent, but you can only carry three in one slot and they take much longer to consume, so they’re not ideal for use during a gunfight. Shields work in much the same way. The smaller poitions can be applied quickly, which makes them ideal for topping up during a gunfight, and you can carry up to eight in one slot. They’ll increase your shield by 25 points each, but once you reach 50 percent, you can’t apply any more. The larger shield potions take longer to apply, but they offer a 50-point increase, and you can use them all the way up to 100 percent. You can also stack them with smaller shield potions, but don’t forget to apply the smaller ones first, then a larger one. You will also come across slurp juice and chug jugs, which restore your health and shield simultaneously — but they have their downsides: slurp juice works gradually over time, while a chug jug restores both bars to 100 percent, but takes 10 seconds to drink. This means neither of them are really suitable for use during a battle when you need protection quickly. If you’re low on health, use them as soon as you find them (preferably when you have some cover). Soon after each battle royale game has begun, the first safe zone will be marked on the map. Be aware of it, and if you’re far out, start making your way toward it as soon as you can. Do this every time the safe zone shrinks. As soon as you get stuck in the storm, you’ll start losing health, and it you’ll find it depletes faster as the storm grows stonger. The further you are from the safe zone, the smaller your chance of reaching it before you die. You don’t want to get wiped out in the storm before you even see another player. Be aware of lakes and hills on your route. These will slow you down, and if you don’t have much time, they could get you stuck in the storm with no hope of getting out alive. You can build your way over and around these things, but building takes a lot of time on mobile — and a lot of material. As the safe zone gets smaller and the remaining players are forced closer together, you’re more likely to run into enemies. Keep an eye on your surroundings and try to spot other players before they spot you — and don’t forget to watch out for enemies who might be running out of the storm. Always keep an eye out for bases — particularly those that are currently being built. Enemies will almost certainly be inside them, and if they have cover and you don’t, they have a huge advantage. Also be careful about entering buildings where enemies might be hiding out with shotguns. Entering buildings becomes more dangerous over time because you’re more likely to run into damage traps that were laid earlier. It’s best to avoid them altogether if you can — it’s unlikely they’ll contain loot late in the game anyway. You won’t win a game of battle royale if you avoid every gun fight, but you don’t have to enter all of them. If you see an enemy far in the distance and you don’t have a sniper, it’s probably best to just move on and worry about them later. When you run into enemies that are closer, you may need to engage them — particularly if they’ve already spotted you. Ensure you have selected the best weapon you have for the situation, aim down the sights, then shoot back. If you don’t aim down the sights, your shot won’t be as accurate. Don’t worry if your aim is off when you first aim in. Just stay calm and correct it as quickly as you can. If you’re using an automatic weapon and you have plenty of rounds left in the magazine, you may choose to continue shooting while you correct your aim. The “spray and pray” approach will work in many situations — especially at close-range. If you feel you’re at a disadvantage in your current position, or your enemy has landed shots and you’re low on health, you may need to quickly build some cover. Building is hugely important in Fortnite. The better you are at it, the greater your advantage over your opponents. Practice building whenever you can and get used to the controls. They can be complicated at first, but you’ll soon get the hang of them. You might need to build stairs to reach chests or loot on top of buildings. You may also want to build walls to give you cover during a gunfight. You will definitely want to build a base in the safe zone that will increase your chances of surviving until the end. It’s best to do this where you’ll get a decent view over the safe zone, so build on top of hills or buildings if you can. Build from the inside so that opponents have to lay their own stairs or break down walls to get inside. This will ensure you hear them coming. Put stairs inside the base — either side if you have the room — so that you can peek out of it and get to cover quickly if you need to. Add additional levels if you need more height for a better view. As you get better at building, you might also want to add windows and doors. Always be on the lookout for grenades that might be thrown or fired into your base, and incoming rockets that will destroy walls with one hit. And bear in mind that if you’re height up, you might be hit with damage if your base is destroyed and you fall to the ground. You can build with wood, bricks, and metal. You can also pick up damage traps that you can lay inside buildings, and camp fires that you can lay to restore some health. If you find a rare jump pad, you can lay this and then bounce off it to quickly glide to other areas of the map. Jump pads can be useful if you get stuck in a storm, since gliding is much faster than sprinting. They’re also handy for catching opponents off guard; you can glide off a hilltop and into their base when their back is turned, then drop them before they even know you’re there. It doesn’t matter if this is the first time you’ve played Fortnite. It doesn’t matter if you’ve never touched a shooter before. Play with confidence and believe you can win. If you’re all nervous and shaky, you won’t stand a chance. 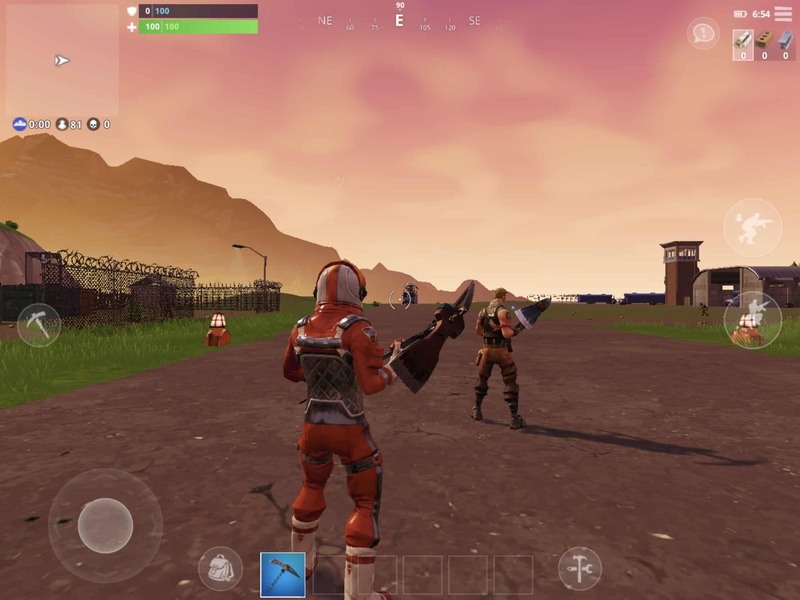 What’s great about Fortnite on mobile right now is that it’s still fresh, and new players are joining all the time as more invites roll out. That means everyone is inexperienced and getting used to the touch controls. It’s a totally different experience to Fortnite on console or PC. Your chance of winning is as good as anyone’s. Keep working at it and getting better, and you’ll be winning matches in no time. Good luck out there! 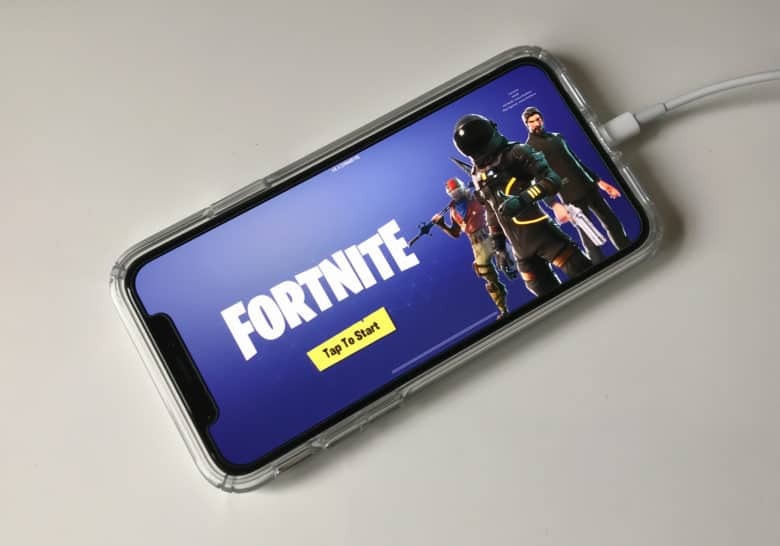 You can download Fortnite for free from the App Store, and sign up for an invite on the Epic Games website.